Like most writers I’m an avid reader. I’m never without a stack of books on my nightstand and usually have a book in my car or purse, too. When you read a lot, it can be hard to keep of what you’ve read and what you want to read. Enter Goodreads. It’s a delightfully easy way to track your reading, keep up with your favorite authors and discover new authors. Goodreads also offers frequent book giveaways. Publishers ship the book directly to the winner and there’s no obligation to read or review. I only enter giveaways if the book is something I really want to read or it’s by a favorite author. I’ve entered a lot of giveaways and last month I was notified that I’d won a copy of “Aunt Dimity & The King’s Ransom” by Nancy Atherton. I was beyond thrilled! The “Aunt Dimity” books are exceptionally well-crafted, delightful British cozies and I haven’t missed one. I hugged it. (At least I didn’t hug the UPS man.) Then I whooped. And might have hollered. My teenager rolled his eyes, but I didn’t care. Books make me happy. And free books make me even happier! If you haven’t joined Goodreads yet, you really should. You can follow your favorite authors *hint* Cindy Hval and connect with other readers. 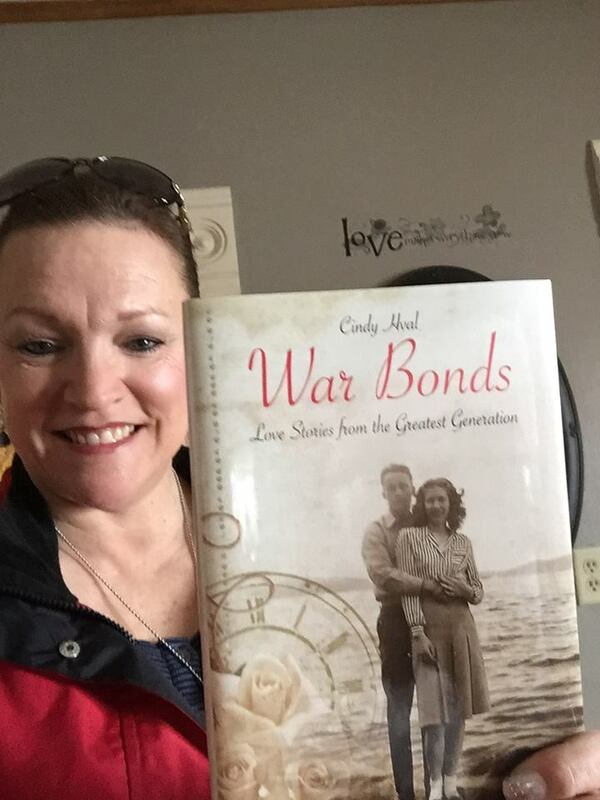 In the rush of Monday deadlines I didn’t even notice that yesterday marked the one-year anniversary of the release of War Bonds: Love Stories from the Greatest Generation. The Facebook Memories app reminded me and as I pored over pictures of that special day, I was overwhelmed. A mixture of joy and sadness flooded my soul. Joy at the fabulous launch at Auntie’s Bookstore. Joy at the fact that the first print run sold out in a month. Joy at the relief of finally seeing my book baby in the hands of readers. And sadness that so many of the people featured in War Bonds have passed away in the year since publication. But mostly what I’m feeling is profound gratitude. 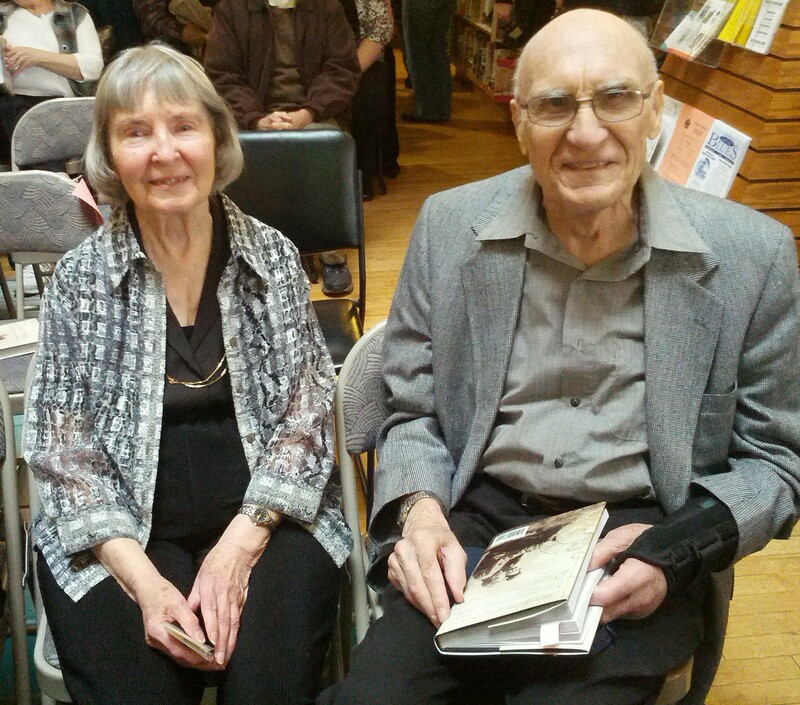 Thank you so much to all of you who were part of that amazing book launch on February 22, 2015. Thank you to readers who savor these stories and understand their importance. Thank you to booksellers, civic clubs, retirement communities etc.who’ve invited me to come and do readings. And thank you to those of you who’ve written reviews on Amazon or Goodreads. The love stories of the Greatest Generation will live on because of you. Idaho, Illinois, Oregon, Connecticut, oh my! 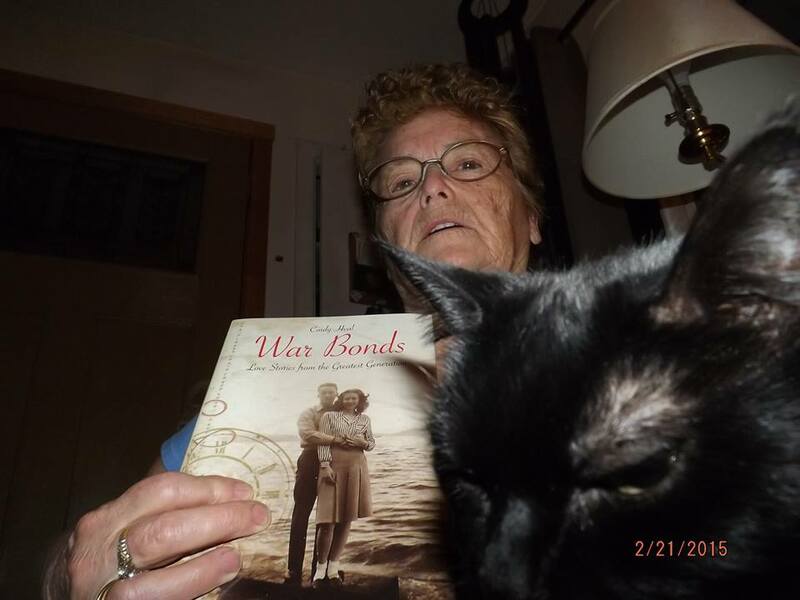 What fun to hear from readers across the United States as copies of War Bonds arrive! I love receiving photos of folks (or their pets!) with the book. You can email your pictures to dchval@juno.com, I’d love to hear from you! In addition, please consider posting your reviews on Amazon, Barnes and Noble or Goodreads. In today’s competitive book market positive reviews on the sites above really helps to spread the news!